To me, making and changing Rules in an HOA, should be similar in the process, as that is used in proposing legislation in the State Legislature: Propose a Bill, discuss in committee to expose differences, argue, resolve, amend- (may repeat), build consensus, send to floor to vote, if passed, enact, if not, start over. In HOAs the proposed rule is sent to the membership for 30 days, most often without any discussion or resolving of differences, and then discussed just before the vote. (Our HOA limits each member to 3 minutes for discussion). Board votes and enacts. Recently, two written measures were sent to our membership, and then changed in the Board discussion. The Board announced that both measures passed and that, “the specifics would be worked on and announced later”. 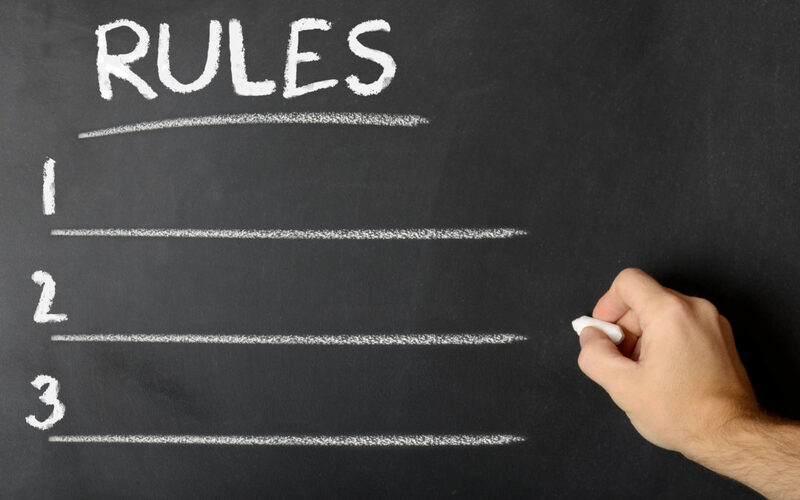 Both “new rules” were substantially changed from the original written proposals, and extra forms and fees were added. Is there any wonder why Owners are either apathetic or angry. They either have to just swallow it or challenge the Board in the courts. Couldn’t this all have been avoided by communicating with the membership, and trying to at least find some understanding of the differences, before issuing edicts and taking action? The minimum would be to at least explain why the action was proposed and then support getting feedback, not curtail it. I think CAI could help all of us by being more specific in describing the specific steps needed when making and amending Rules. Communicate first…and don’t get too far ahead of the membership when proposing action, unless there are health and safety issues. Thank you for sharing, Marilyn. We agree: Communication is an incredibly important part of rule-making, and community associations should take homeowner input into account. Here’s a good process associations could follow: Once a board has drafted a rule, it should circulate it to owners and residents and ask for comments. Board members should discuss the rule at an open meeting where they can explain their rationale and encourage owners to share their opinions. Depending on owner response, the board may amend the rule and begin the process again. If the board decides to move ahead, the final rule should be published well before its effective date to give all residents time to comply. In addition to the “Be Reasonable!” book linked in the post above, if you’d like to read more about community association rules, you might consider purchasing “Drafting Rules” in CAI’s online bookstore.